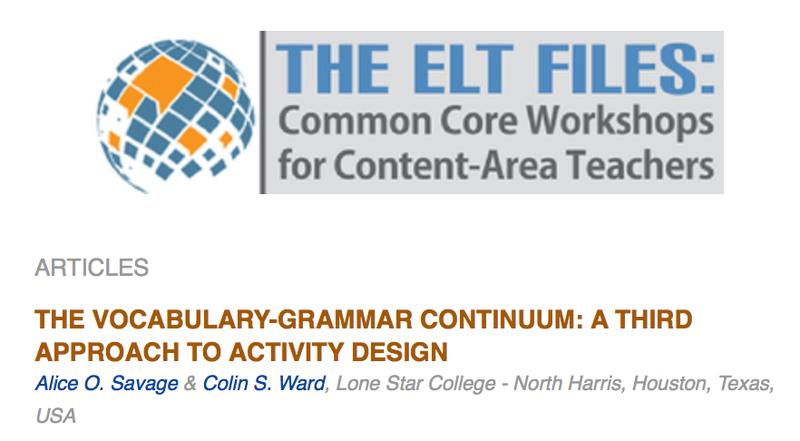 We have recently published an article for the TESOL AEIS newsletter on the “vocabulary-grammar continuum,” presenting how vocabulary, word forms, and grammar may be taught together rather than separately. We also look at how teachers might handle high-frequency word lists by categorizing words into content, grammar, and “shadow” words. The article is based on our presentation at the 2014 International TESOL Conference in Portland, Oregon. Click here for the article, which also includes activities to try out in the classroom!